One of the top journalists in Washington, a Christian poet, and a new voice in the Marvel Black Panther Universe – three writers with very different backgrounds and styles, all sharing their insight into the art of putting pen to paper. Join founder Dean Nelson as he welcomes E.J. 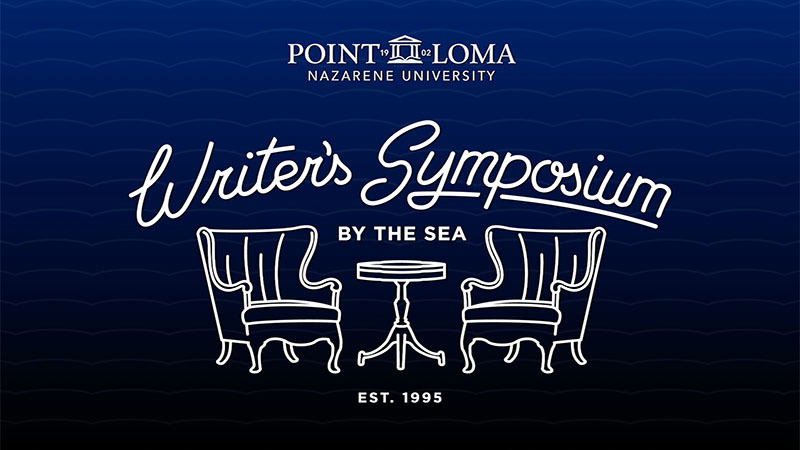 Dionne, Christian Wiman and Nnedi Okorafor to the 2019 Writer’s Symposium by the Sea at Point Loma Nazarene University in San Diego. International award-winning novelist Nnedi Okorafor discusses her wide-ranging work, including Black Panther comic books, young adult fiction, and her novel “Who Fears Death” which is being made into an HBO series produced by George R.R. Martin of “Game of Thrones” fame. She delves into her unique upbringing, what sparked her interest in African-based science fiction, and how a surgery gone wrong played a pivotal role in her becoming an author. Veteran journalist E.J. Dionne has spent decades reporting on American politics. He worked at the New York Times before joining the Washington Post, where he writes a twice-weekly column. His books include the 1991 release, “Why Americans Hate Politics” and his most recent effort, “One Nation After Trump: A Guide for the Perplexed, the Disillusioned, the Desperate, and the Not-Yet Deported.” Dionne discusses the changing landscape of journalism and why it is more important now than ever to talk politics with those with whom we disagree. The former editor of Poetry Magazine, Christian Wiman is both a poet and an essayist who teaches Literature and Religion at Yale Divinity School. Wiman discusses his books including, “He Held Radical Light: The Art of Faith, the Faith of Art,” and “My Bright Abyss.” He opens up about a three-year writing drought when he felt poetry was taken away from him and he was diagnosed with cancer. He explains how falling in love and a random visit to the corner church turned his life around. Browse past seasons of Writer’s Symposium by the Sea to watch interviews with Joyce Carol Oates, Tracy Kidder, Billy Collins, Kareem Abdul-Jabbar, and more! Receive the latest UCTV posts in your inbox.